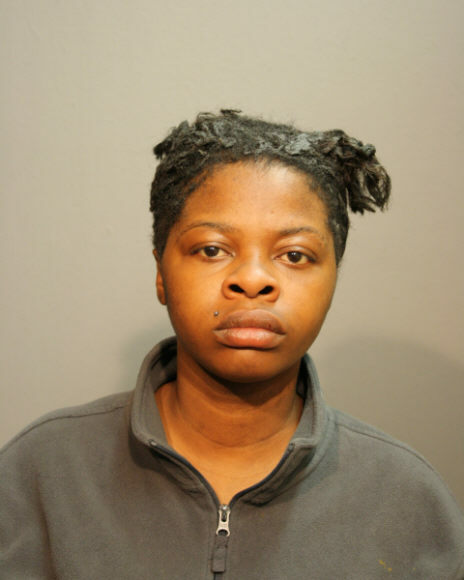 Crystal “Cocoa” Caffey fatally stabbed her boyfriend because she thought he stole money from her during a Monday night card game at their West Garfield Park home, prosecutors said. Caffey, 27, was charged with one count of first-degree murder for the death of Marvin “Pootie” Turner and ordered held on $750,000 bond Tuesday, authorities said. Turner, 29, was found stabbed on a sidewalk near his home in the 4000 block of West Maypole Avenue at about 2:50 a.m. Monday, authorities said. Prosecutors said Caffey, Turner, their five children and two others lived in a basement apartment, while Caffey’s sister and boyfriend lived in an adjoining first floor apartment with another man. Caffey, Turner and four others in the group were all playing cards in the first floor apartment, prosecutors said. Caffey eventually left the card game and went to sleep in the basement. Turner went down to the basement apartment, woke up Caffey and asked to borrow some money, prosecutors said. Caffey refused and went back to sleep. When Caffey woke up and found her money gone she went up to the kitchen to confront Turner and found the card game had ended, prosecutors said. An argument and fight ensued where Turner allegedly grabbed Caffey by her hair. Caffey grabbed a kitchen knife and stabbed Turner once in the upper left chest, prosecutors said. The first floor residents came out of their bedrooms during the fight and one of them called 911, prosecutors said. Officers found Turner outside on the sidewalk and paramedics took him to Mount Sinai Hospital, where he died about an hour later, authorities said. An autopsy confirmed Turner died of a stab wound to the chest and the death was ruled a homicide, according to the medical examiner’s office. Caffey discarded the knife in the kitchen sink and it was recovered by police, prosecutors said. She eventually admitted to police that she stabbed Turner during an argument, prosecutors said. Caffey was convicted of misdemeanor assault and resisting in 2005, misdemeanor battery in 2010 and misdemeanor battery and resisting in 2011, prosecutors said. She is scheduled to be back in court May 19.